Q: Your Wi-Fi hub is not detected by the Samsung Connect app. What should I do for this? 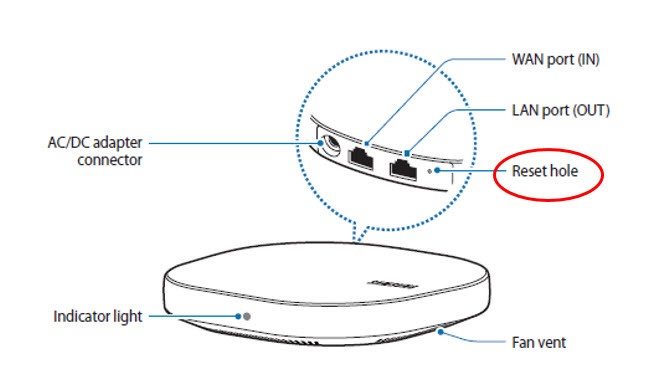 A: If the Wi-Fi hub freezes or hangs, disconnect the adapter from the Wi-Fi hub and reconnect it. • Close the Samsung Connect app completely on your mobile device and restart it. • If your Wi-Fi hub is frozen and unresponsive, insert a pin into the Reset hole. • Ensure that the other devices are within the maximum connection range. Samsung Connect Home: How to register IoT devices via the Samsung SmartThings Hub feature?